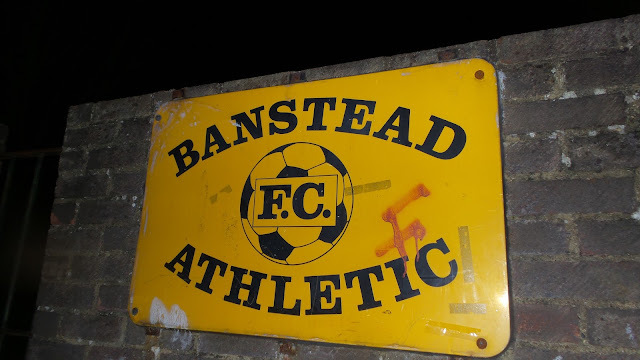 Banstead Athletic were established in 1944 as Banstead Juniors FC, changing their name to their current monicker a couple of years later. After competing in the Surrey Senior, Spartan and Athenian Leagues, they joined the Isthmian League in 1984. Starting at Division 2 level, they had a series of mid-table finishes - good enough to stave off relegation, but not quite good enough for promotion, with a 4th placed finish their best in 1995/96. Fifth place was good enough to effectively earn promotion at the end of the 2001/02, following league reorganisation to a regional Division 1. 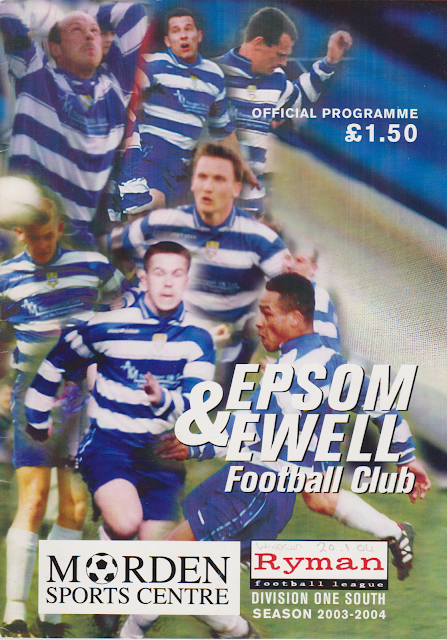 Their debut season of 2002/03 saw their best ever finish of 16th, which at the time was step 3 of the non-league football pyramid. Things gradually tailed off, and at the end of the 2005/06 season, they resigned, joining the Combined Counties League to help with travelling costs. Starting in the now step 5 Premier Division, an initial finish of 6th was a decent start. However, that would be their only top half finish, and after years of flirting with relegation, they finally succumbed in 2011/12 after finishing rock bottom. Despite initially struggling, things have got a bit better in the last few seasons, with two 6th placed finishes being improved upon this season. Presently they sit in 2nd place, comfortably in the promotion frame, and just above their current tenants AC London. 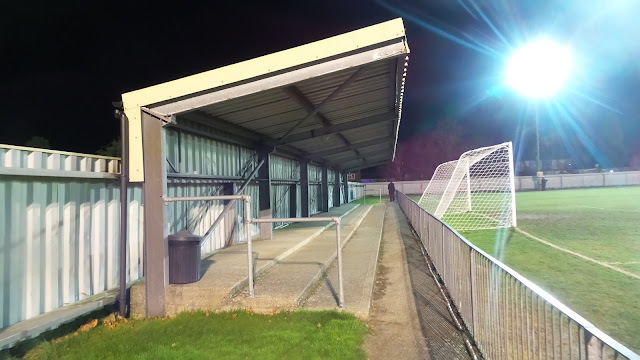 In the FA Cup, Banstead Athletic's best ever progress has been the 3rd Qualifying Round which they first reached in 1981, and then again in 2000. 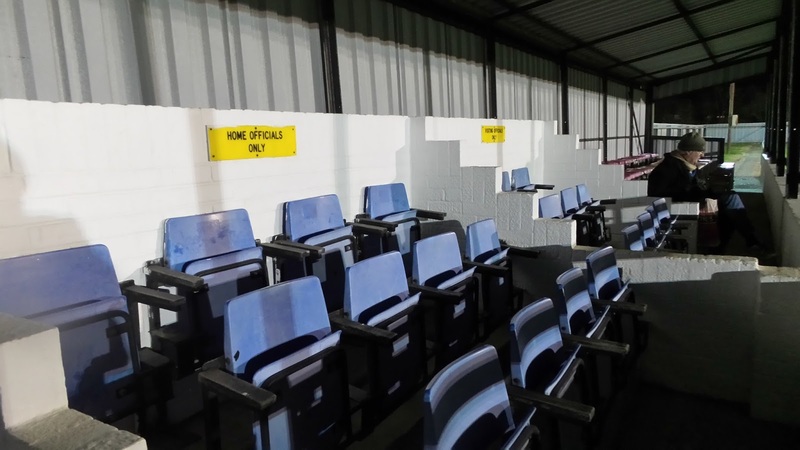 Progress in the FA Trophy in the 4 seasons they played was limited, the only time they progressed past the opening round coming in the 2004/05 season when they defeated Corinthian Casuals in an enthralling 5-4 Preliminary Round replay victory. 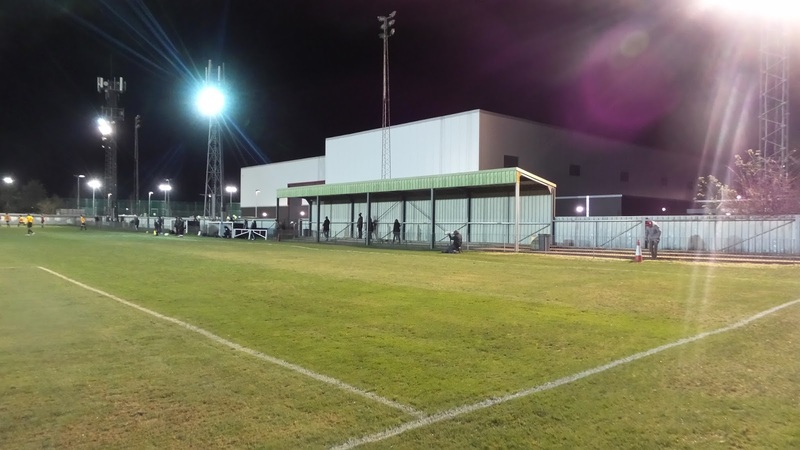 The FA Vase was a much happier hunting ground, with them reaching the Quarter Final in 1992/93. Four years later, they went one better, losing a 2-legged semi-final to Whitby Town, despite a credible draw up in North Yorkshire. 2003/04 was a season when I clocked up what seemed like, at the time, an incredible 117 games. 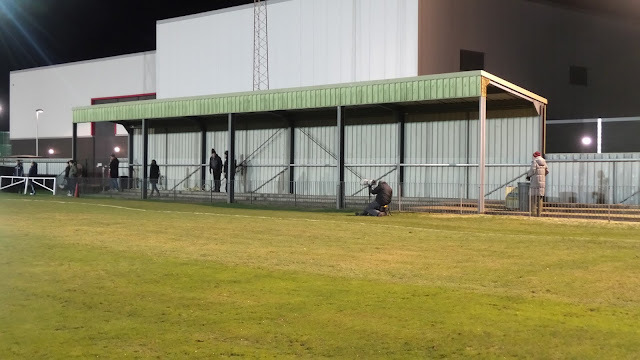 I've now surpassed this several times, now that I've got into groundhopping. I wasn't really a hopper at the time, though I was a full-time Wycombe fan, in the midst of a 7-year run without missing a game, home or away. I also did pretty much every reserve game and some FA Youth Cup ones too, seeing a Wycombe team on around 70 occasions that season. The other games were made up mainly of my mate Paul's team AFC Wimbledon, and a side that had a whole load of Chairboys from our glory days in the Conference. Managed by our former striker Dennis Greene, who named himself on the bench, the Windsor side contained 5 other ex-Wycombe players. 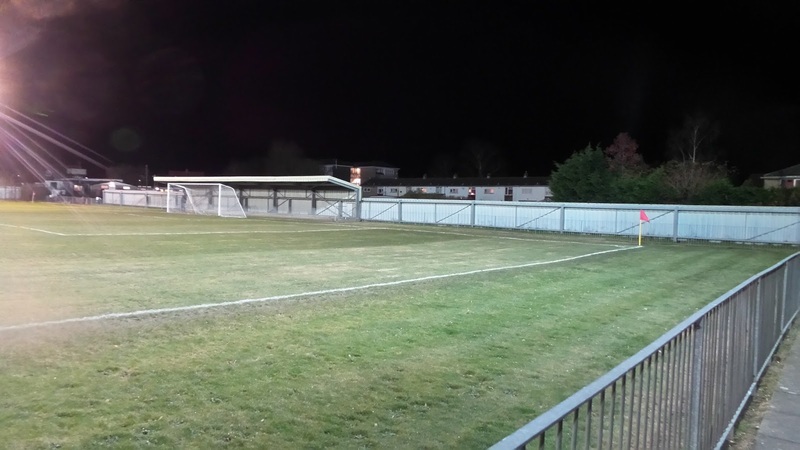 Goalkeeper Chuck Martini, defender Jason Cousins, midfielders Matt Brady & Dave Carroll as well as striker Keith Scott lined up for Windsor & Eton as they triumphed 4-2 over Banstead Athletic's the tenants Epsom & Ewell. 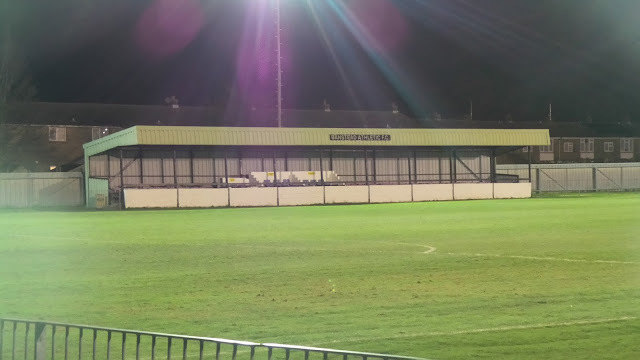 The game took a while to get going, but Keith Scott put Windsor ahead on 34 minutes, only for the hosts to equalise with an Adam Stones header just before half-time. Second-placed Windsor stepped it up in the second half, especially in the opening 10 minutes when they scored three quick goals. A Jason Cousins header put the visitors ahead, before a great run and lob by Terry O'Connor and a Dave Carroll free kick put Windsor in firm control. A defensive mix-up allowed Craig Watkins to pull one back, but by then the game was safe. Landlords Banstead Athletic were doing pretty well at the time, playing in the same Ryman Division 1 South League as Epsom & Windsor, which at the time was step 3 in the non-league pyramid as it was before the establishment of the Conference North & South> I'd see the landlords twice that season, albeit in away games as they beat Marlow 1-0 in a league game December and AFC Wimbledon in the County Cup in February. On this Tuesday I was on my own, thanks to the unavailability of other hoppers. With it being the middle of winter choice was restricted, and this was further complicated by the predicted freezing temperatures with minus temperatures expected in several places come kick-off time. With me wanting to save money as much as possible, and all my groundhops being a long way away, I decided a revisit was in order. My subscription to the football traveller came up trumps, listing a game that I couldn't see anywhere else in the Surrey Premier Cup. 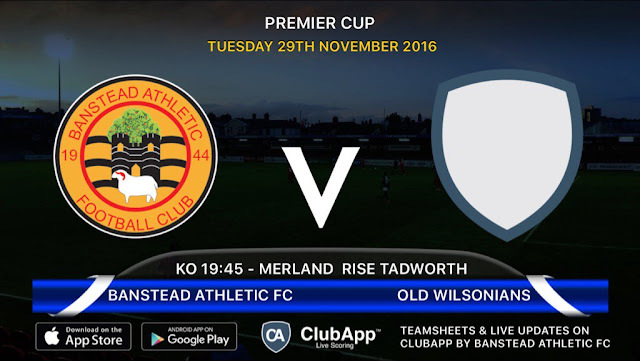 I confirmed that it was on via the Banstead Athletic site, and with the weather looking just about OK, I planned it in. The opposition were the intriguingly named Old Wilsonians from the Southern Amateur League. Funnily enough, I have vague memories of seeing that league in the mid 1990's on the regional Teletext football results. It stood out as most of the teams had the 'Old' prefix in their name. On the day of the game I was on my day off, and walked down town, before getting a lift back with my Dad. I spent the afternoon researching Banstead Athletic's history to update my blog whilst I listened to The Two Mikes on TalkSPORT as well as listing a few items on eBay. After a dinner of Spaghetti Bolognese I left just before 6. A 45 minute delay was predicted on the M25, but it turned out to be just 15 minutes. 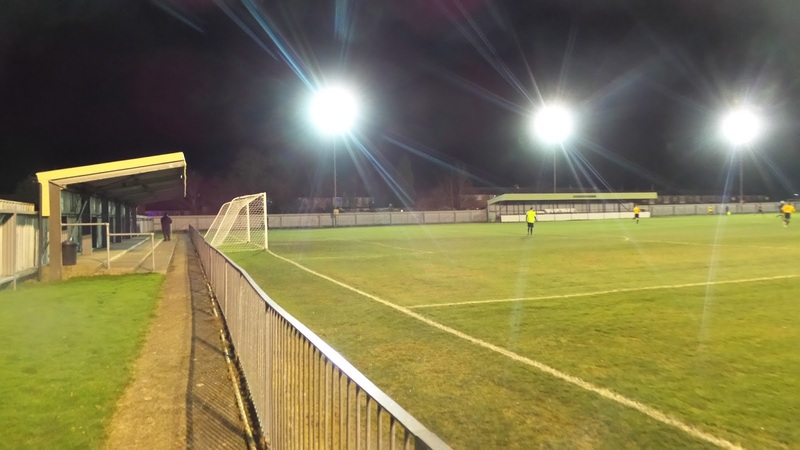 I got to Banstead at 7.20, and was glad to see the floodlights on and fellow hopper Laurence confirming the game was on. I caught up online in my car for 10 minutes before wrapping up and going in. There was still some doubt over whether the game would go ahead, due to some players voicing concerns over the pitch, or probably just not fancying the cold. The referee, experienced in his profession was not going to call it off at this late hour. 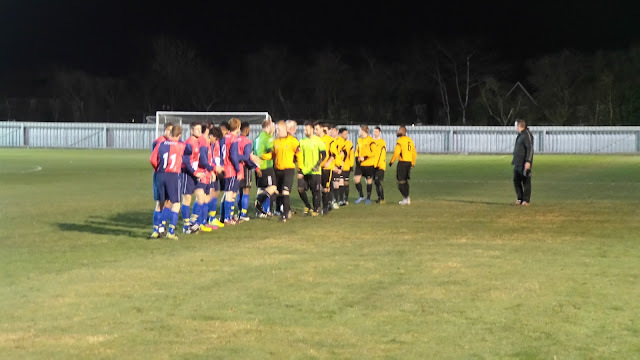 Even so I stood and chatted to Laurence and some other hoppers, until I saw the teams making their way onto the pitch. As it was a frozen night, I opted to huddle in the small press area which at least had some knee-high walls around it to insulate me from the cold. My flask of Bovril helped too. I was unclear as to what step that Old Wilsonians, tonight's opponents, played at. It turned out, after later research, that they were not even in the football pyramid, or indeed a member of the FA. Instead, the Southern Amateur League which they play in is affiliated to the AFA, or Amateur Football Alliance to give it it's full name. The AFA was formed in 1907 to maintain an organisation that contains purely amateur clubs after the FA's decision to admit professional clubs. 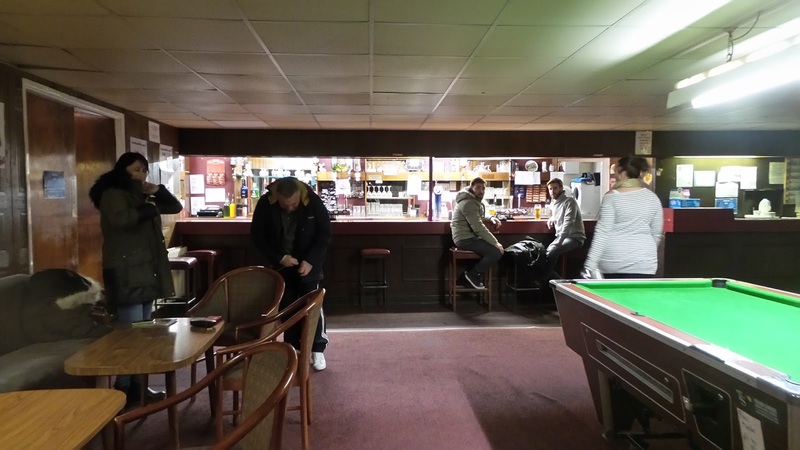 There are criteria that leagues and clubs need to follow, such as providing food and drink to their opponents after games. 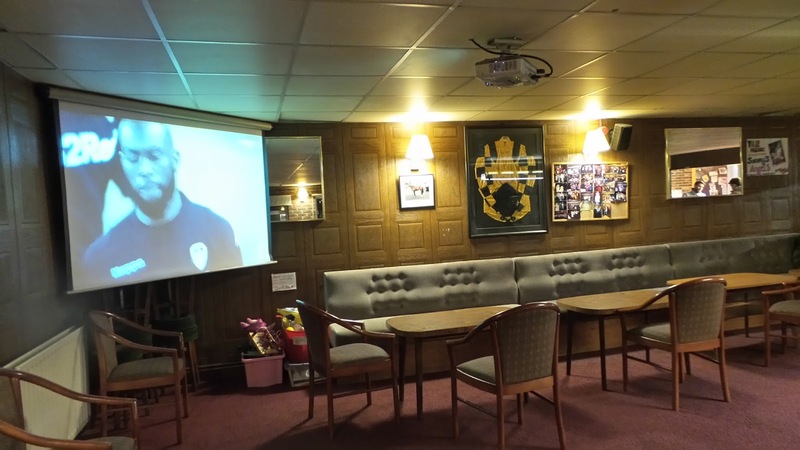 The Southern Amateur League has been around since the dawn of the AFA. In a three-tiered senior league, Old Wilsonians currently sit in 6th place in the top division, with their only title on record being in 2004/05 when they were Division 3 Champions. Despite their status, the visitors were the brighter team early on and on their first half showing, it looked as if a cup shock might be on the cards. Jalen Gravesande opened the scoring on 12 minutes, netting after a pinball session in the box. 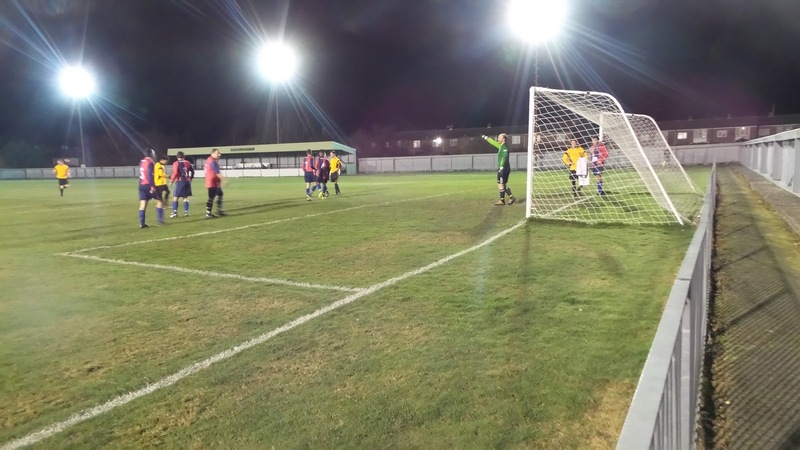 Kieran Steadford doubled the lead 4 minutes later as more indecisive defending from the hosts allowed him to slot into the bottom right-hand corner after an initial clearance. Old Wilsonians had been well on top, and really should have added to their tally. A couple of minutes before half-time their lead was halved when Martin Smith's composed finish brought Banstead back into it. 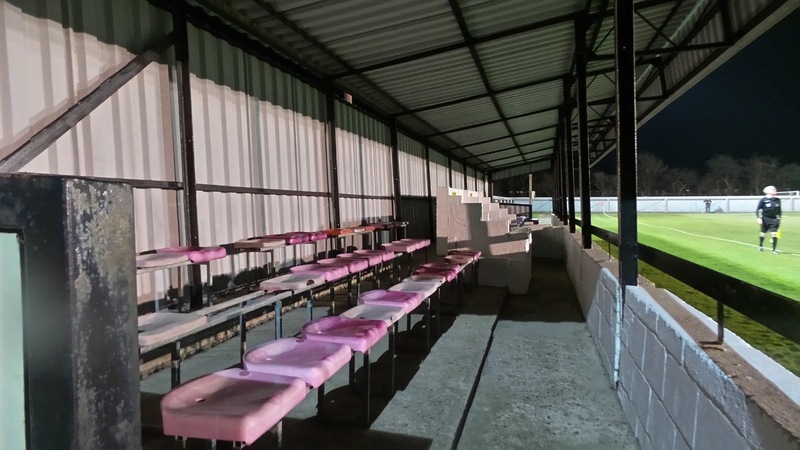 Whatever was said in the home dressing room at half-time, it had the desired effect. With 52 minutes on the clock, Tayler Maddog converted a square ball at the back post to square things up. Banstead were well on top by now and this proved to be the turning point of the game, with the visitors restricted to chances on the break from now on. Joe Hill put Banstead ahead on 67 minutes, following up a fantastic initial shot that fell kindly for him after rebounding off the angle of post and bar. It wouldn't be until added time that the hosts would seal the victory. 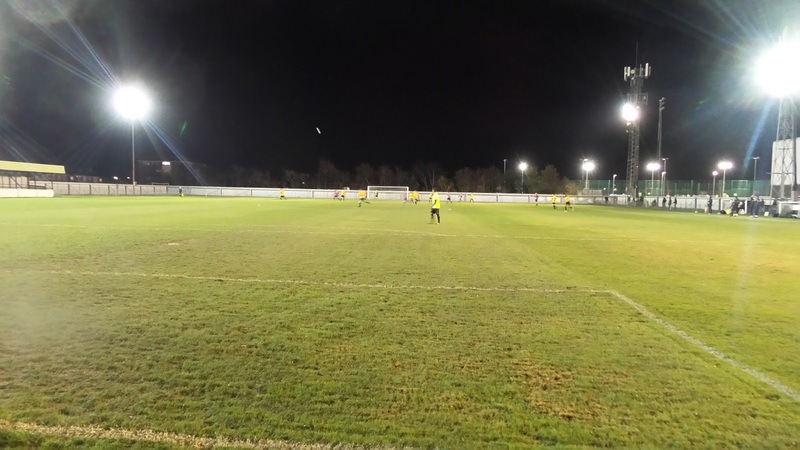 Martin Smith powered home a square ball from around 10 yards, before the aptly named Billy Frost scored the goal of the night, hitting the ball into the top corner to complete the scoring. I'm not sure what step Old Wilsonians would play at, were they playing semi-pro football, but in ancy case, they did themselves, their league and the amateur game in general great credit. Really they should have been further ahead at the interval and although they didn't see much of the game in the second half, the late double salvo for Banstead was harsh on them. It had been a decent game too, and certainly deserved more people watching it that the 25 hardy souls that ventured out on a frozen night. 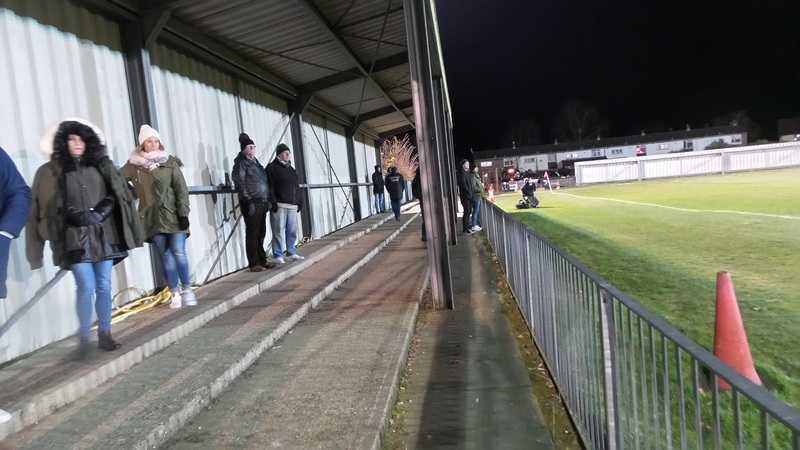 It was one of a limited number of games in the country that was finished to its conclusion, with nearby Corinthian-Casuals game being halted on 55 minutes. I said my goodbyes, before nipping to the toilet before leaving. The journey home proved to be a bit of a pain with a 20-minute delay on the M25 thanks to the road being narrowed down to one lane. I was sat at a standstill for ages, thanks to it being poorly managed and drivers zooming past red X's and jumping the queue. I listed to Hull beat Newcastle on penalties in the League Cup on the way home, eventually getting in at 11. I watched Dave Gorman's Modern Life Is Goodish, before going to sleep just before half past midnight. 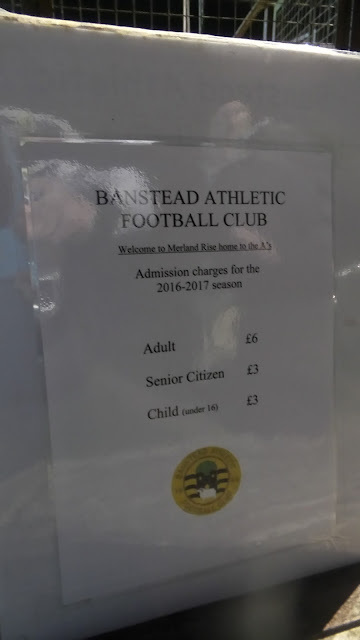 MERLAND RISE is situated in a residential area, so I'm not sure what is available around the ground. 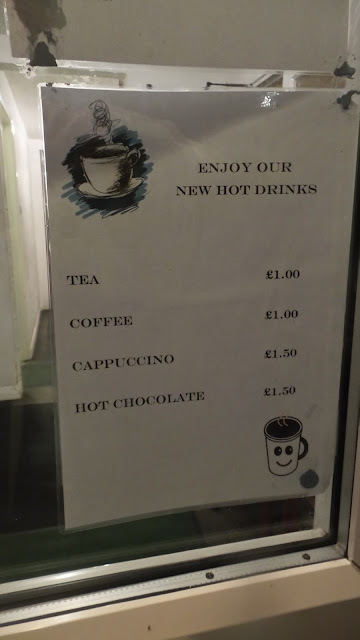 At the ground, hot drinks are available, as is a bar, but I didn't see any food or merchandise on offer. One bonus is the large car park, with plenty of spaces available. The ground itself is impressive, having served at step 3 for a few seasons in recent times. 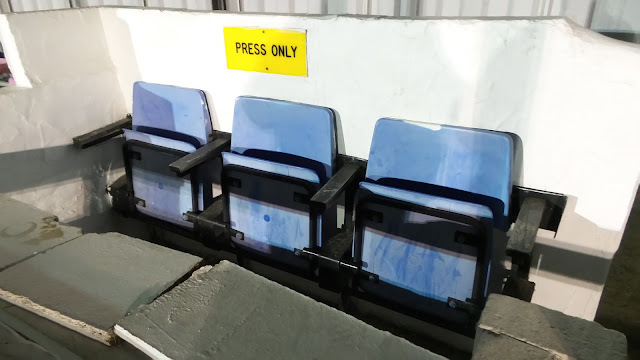 It's probably just about up to that standard at the moment, with the possible caveat that they need more seats. 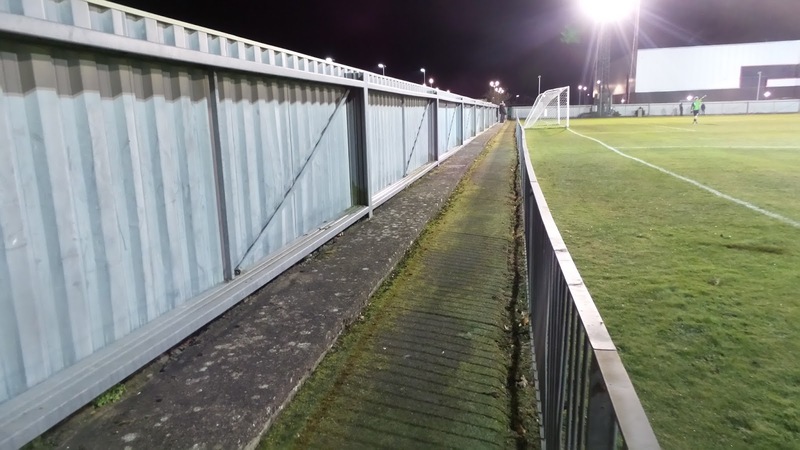 Certainly, it's a good ground for their current level, cover is on 3 sides of the ground, the remaining far end consisting of a couple of steps of open terracing.